Ian Batchelor was Born in Nakuru, Kenya in 1965, and spent his early childhood in one of the more beautiful parts of Africa. His parents moved to Zimbabwe when he was five years old and this is where he developed his love and passion for everything that Africa embraces. Antonette “Nonnie” was born in Ndola, Zambia in 1961 and her parents moved to Zimbabwe when she was seven years old. Her parents were the largest strawberry farmers in South Africa and she grew up on a farm just outside of Harare and spent most of her holidays fishing on Lake Kariba where she fell in love with her country and the “African way of life”. Ian and Nonnie met in 2004 in the USA while Ian was on a marketing trip and Nonnie was working for a large Safari Operation based in Houston Texas. Nonnie had been living in the USA for 20 years and it was love at first sight. Ian asked Nonnie to move back to Africa/Tanzania with him which she did. Their son Lian was born that same year and they both remained in Tanzania for the following 6 years travelling extensively around Tanzania and working in the Safari Industry. Ian and Nonnie wanted to move back to the country they both loved so much, so in 2009 they did just that and this is when “Upmarket Safaris” was started. Ian and Nonnie specialize in planning safaris for discerning travellers who want to visit the highlights of Zimbabwe, Botswana, Namibia, Tanzania, Rwanda and South Africa combined with the private guiding. Ian learned the skills of providing top standards of service to International clientele through his years of experience working for several top notch companies in Central, Southern and Eastern Africa. He takes great pride in sharing his knowledge of the animals, reptiles, birds, insects, trees and especially the people of all these countries. Ian and Nonnie believe that their safari planning and the private guiding combination provides the best option for the traveller. We planned a family safari through Upmarket Safari. 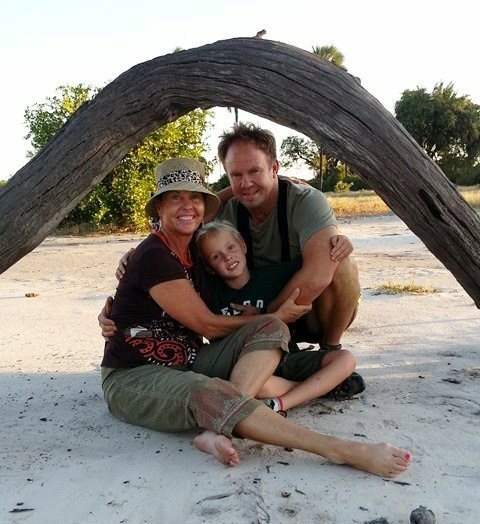 This was our 3rd safari and our first time visiting Zimbabwe. Every day was a new adventure. We saw many different animals and birds. I am impressed with Ian’s extensive knowledge of not only the animals, the birds and the plant life. You can clearly understand his dedication, knowledge and appreciate his experience. He shows not only does he love his profession but how much he enjoys and appreciates nature. Nonnie is an absolute whiz handling all the critical paperwork, details and answering all the many questions with ease and patience. She makes sure that everything is in order down to the last detail. Great Locations. Upmarket Safaris offers luxury safaris all over Southern Africa. Accommodation that will take your breathe away with an abundance of wildlife. Great Activities. Along with awesome locations and accommodations, Upmarket Safaris offers an abundance of activities that will bring awe to your African Safaris.